Participants may sign up for each workshop separately, or choose all four at a discounted rate. Early bird rates are available through Oct. 31, and Iliff student and alumni discounts apply. We will explore how different demographic change and cultural diversity influence values systems and religious practices. Build reconciliation by deepening empathy rather than debating policy. Learn how to find bridge-builders who generate conversations between factions, and how to equip staff and lay leaders to honor dissenting voices within and beyond the congregation. 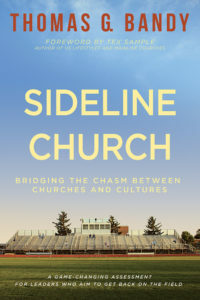 This workshop is based on Tom’s latest book, Sideline Church: Bridging the Chasm between Churches and Communities (Abingdon). We will explore why distinct groups of people gravitate toward different kinds of leaders, and study the eight different kinds of spiritual leadership in America today. The reach and depth of your church depends on the right kind of leader for your community. Learn how the right leader can build credibility in the community; and anticipate the stress over leadership expectations as your church grows and becomes more demographically diverse. 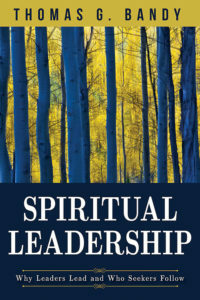 This workshop is based on Tom’s recent book, Spiritual Leadership: Why Leaders Lead and Who Seekers Follow (Abingdon). We will explore how regional and local church leaders use MissionInsite to adjust and focus the “Sunday Morning Experience” of hospitality, worship, and education; initiate and sustain small groups and outreach; renovate and support facilities and stewardship; and improve inward and outward communication. Learn how to navigate the new MissionInsite platform. Overcome the stress of change and count the cost of multiplying disciples. 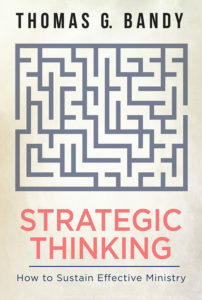 This workshop is based on Tom’s earlier book Strategic Thinking: How to Sustain Effective Ministry (Abingdon). We will explore how “Personal Religion” is transforming both mainstream and evangelical churches, and growing the ranks of spiritual people with no interest in religious affiliations. Discover the positive and negative impacts of personal spiritualties on communities and churches, and how churches can faithfully adapt message and method to build conversations rather than confrontations. Anticipate the seismic changes that will transform the institutions of the church in the decade to come. Iliff alums and current students please contact the ReSource office for discount codes. $110 per day (individual seminar registration is not available at the door). Contact us for group registration information. Registration does not include meals (we will provide snacks and drinks). There are many restaurants within a short walking distance from Iliff. This event is held at the Iliff School of Theology, 2323 East Iliff Avenue, Denver. The main entrance to the facility is at the south end of the building, and is accessed from East Iliff Avenue. Please note that we have a secure campus, so older entrances (the north doors of Iliff Hall, and the breezeway between Iliff Hall and the newer buildings) are now locked at all times. Iliff’s facilities are ADA-compliant. Visitor parking is available in the B lot. Parking is $2.00 per hour, to a maximum of $10.00 per day. On-street paid parking is also available on Gaylord Street just north of East Iliff Avenue. The parking garage at the Newman Center (the P lot) is also available, and can be accessed off of East Wesley Avenue between South University and South York Street. For more parking information, including a map, click here. Both the Iliff and the University of Denver campuses are smoke-free. Smoking is not allowed in buildings or anywhere on campus.